We offer beautiful options for wedding venues in Edenton, NC. 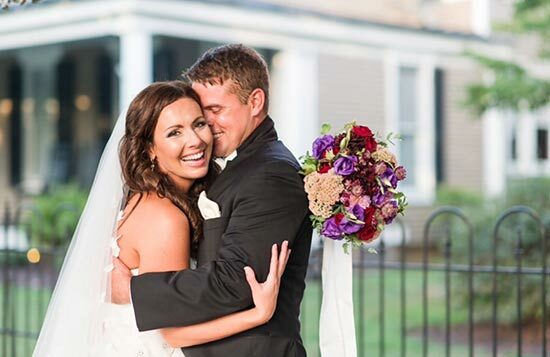 Inner Banks Inn is beautifully suited to host special occasions, including intimate North Carolina weddings, elopements, receptions, and elegant bridal showers. 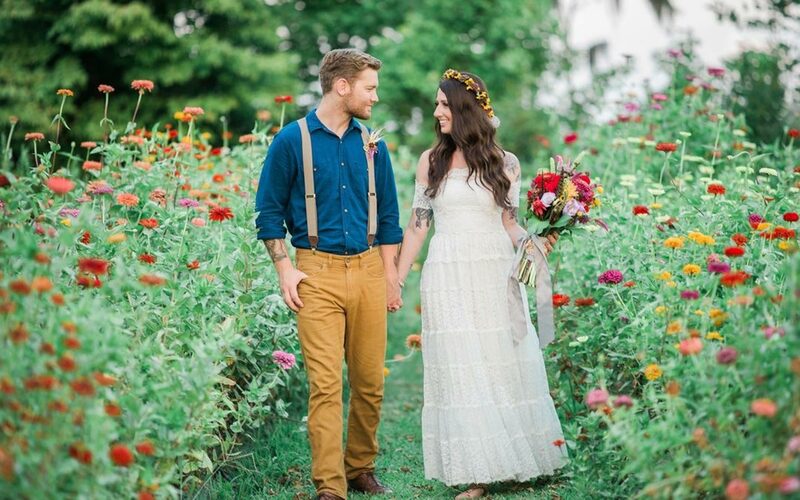 We offer several different wedding venues in Edenton, NC, including our romantic Southern Victorian mansion, expansive lawn, and at our restaurant and patio. 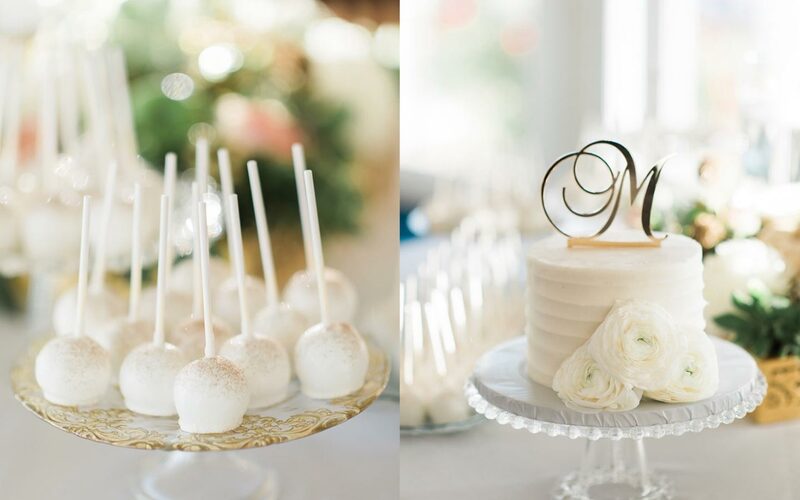 Our culinary team will work with you to design a memorable wedding feast, and along with our staff’s uncompromising attention to detail, we will help to make your Edenton wedding perfect. View our Edenton, North Carolina, wedding video! Email info@innerbanksinn.com or call (252) 482-3641. Named as the “Prettiest Small Town in the South,” Edenton is one of the most beautiful locations to get married in North Carolina. Considered a colonial gem, Edenton is nestled between the Albemarle Sound and the Chowan River. The ample water views give way to spectacular sunsets on Edenton Bay and wonderful photo opportunities abound. Whether your event is held at Inner Banks Inn, or one of our other historic venues in Edenton, we will pair amazing catering by our award winning chefs from The Table Restaurant. The beautiful and affordable accommodations of our boutique houses give family and friends a wonderful place to gather and celebrate your Edenton wedding weekend. 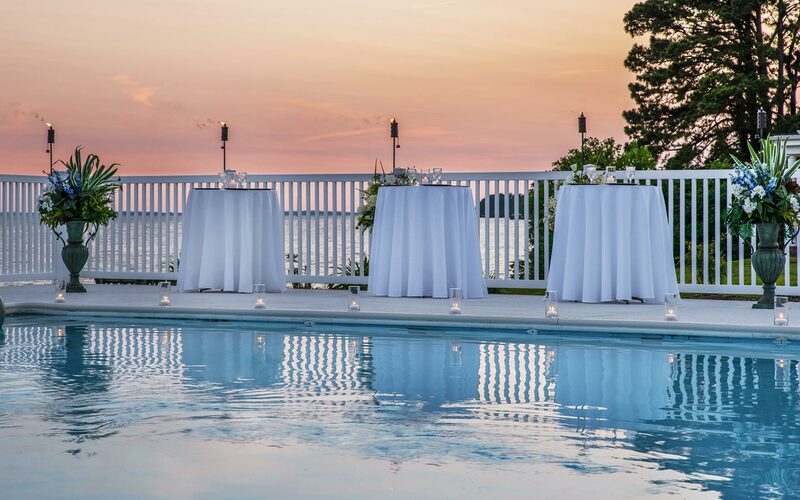 Our event planning team has decades of experience planning special events, and we truly enjoy sharing our knowledge with potential Edenton wedding couples. We will happily suggest preferred vendors to match your style of wedding for everything from music, to flowers, and photographers. 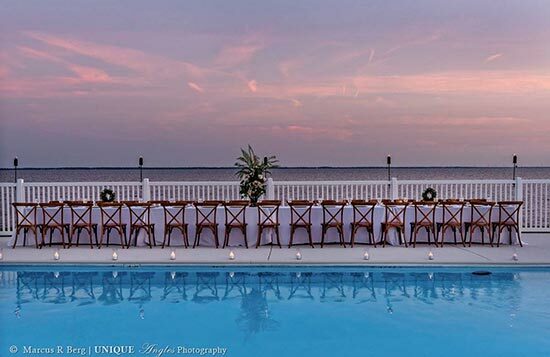 We have put together best price packages with our preferred vendors for the perfect intimate Edenton wedding. 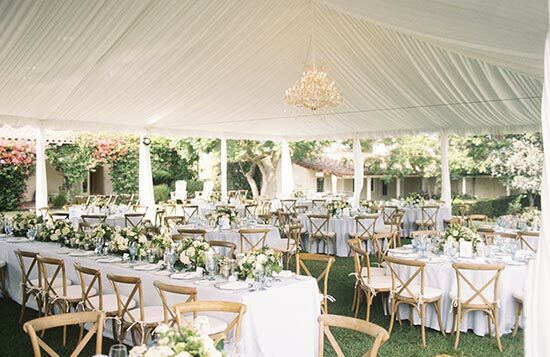 We guarantee that event coordination at our facility will provide an enjoyable and stress-free experience. Inner Banks Inn has twenty beautiful guest rooms and suites, including a honeymoon suite that encompasses the entire second floor. 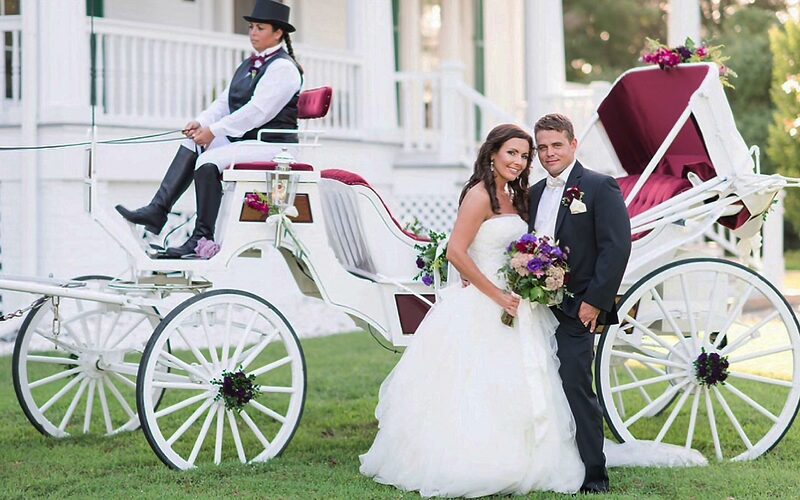 Inner Banks Inn, The Links at Mulberry Hill and our other select locations in Edenton are the perfect backdrop for a stunning collection of photographs to remember your day for years to come. 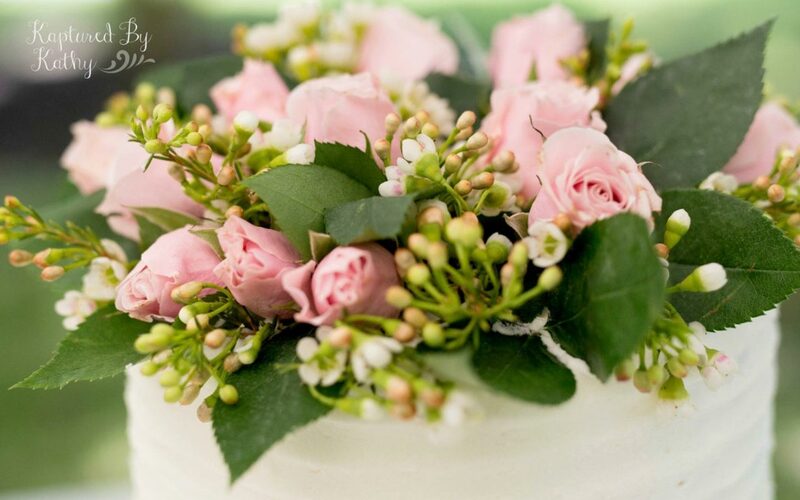 *Please note, because your special day deserves our complete attention, we do require that the entire inn be rented for a minimum of two nights if you are hosting your reception at our main property: the night before the event and the night of the event.